In this video, I discuss Parkinson's disease---the second most common neurodegenerative disease behind Alzheimer's disease. Parkinson's disease is associated with the degeneration and death of dopamine neurons in the substantia nigra. 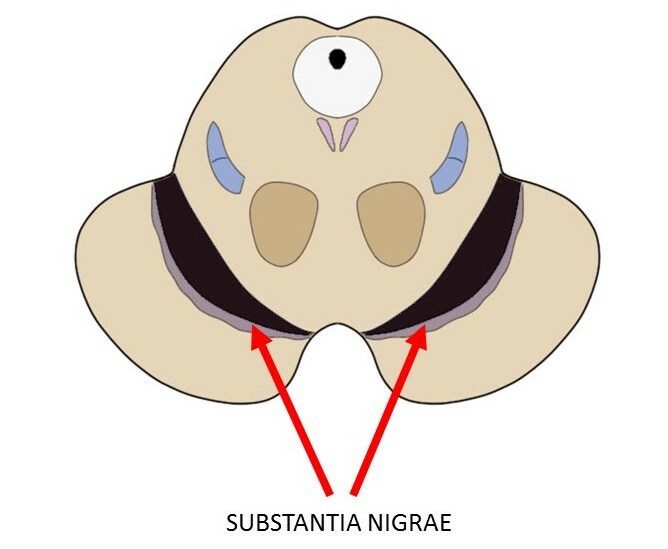 The substantia nigra is a region of the brain that is part of a collection of structures known as the basal ganglia, which are important to movement. Parkinson's disease patients experience severe movement difficulties that become more problematic as the degeneration of substantia nigra neurons becomes more extensive. The most common treatment for Parkinson's disease involves the administration of L-DOPA, a precursor to dopamine that allows the brain to synthesize more of the neurotransmitter to replenish depleted dopamine levels.